Now, why would I be drawing this? very nice. Only change I might think about is making the forehead on his frontal view shallower if your using the sideview as the reference. but really nothing to stress over. very nice sketch! 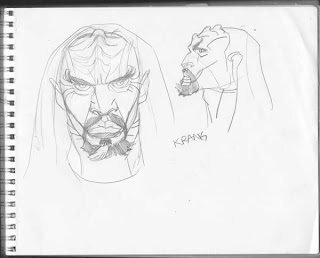 -->> .. that Sith has much more ridges on his forehead than most bage of Ruffles.